and smaller coefficient of expansion. 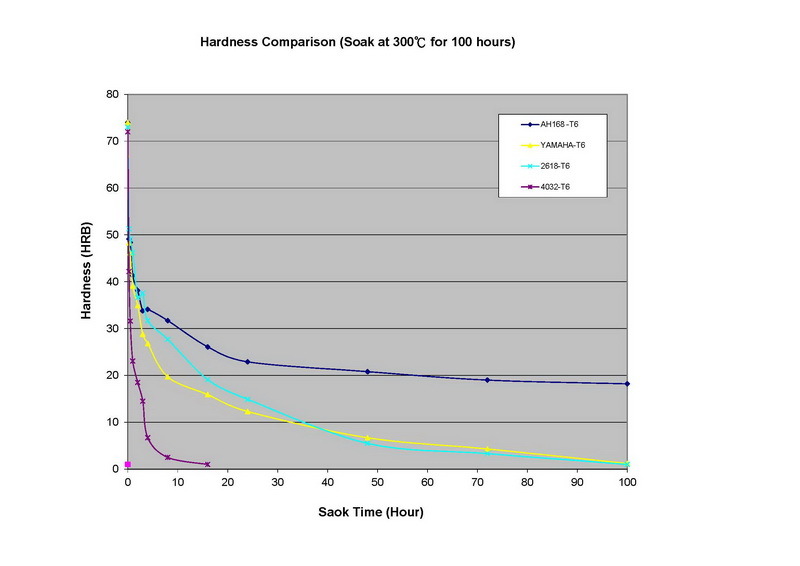 As the right chart, heating with 300℃ during 100 hours. 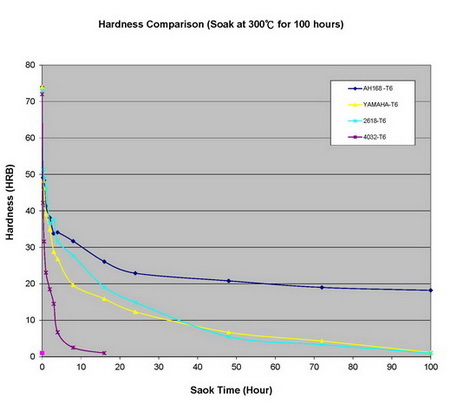 The hardness of AH168(blue line) has stabler performance. Welcome to contact us and know about AH168 more.